This past week, I was able to get the last of the spring snow peas from my work. Even though our springs are short-lived up here, I wanted to pay tribute to the season vegetables for the season. As Ben put it, this dish had to be vegetarian because any meat would have just taken away from the amazing vegetables. That is what cooking seasonally is all about! You want to love the ingredients so much that you are afraid to add anything that might take away from them. This dish truly does the seasonal vegetables justice. Heat 1 T each, butter and olive oil, in large saucepan over medium-high heat. Add yellow onion to pan, sauté until fragrant. Add peas to the pan and continue to sauté until they begin to soften, about 3 minutes. Remove the contents from the pan, add the remaining butter and olive oil. Add the garlic and shallot, sauté until fragrant. 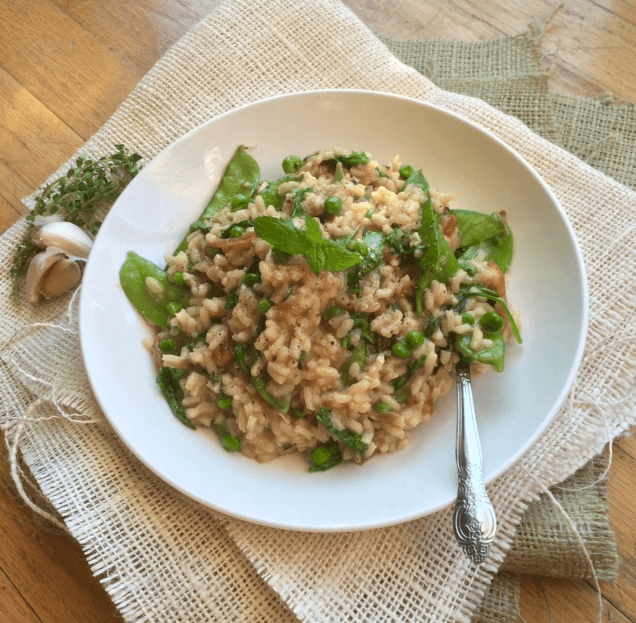 Add the Arborio rice and combine well with the garlic and shallot. 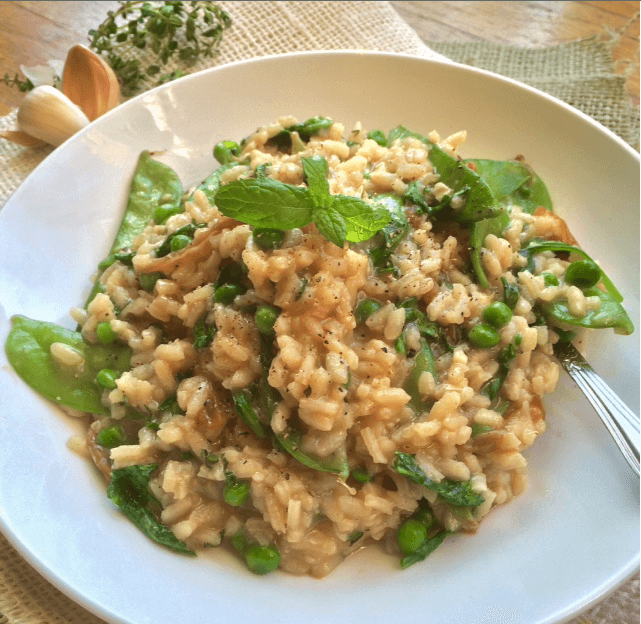 To cook the risotto, add stock 1 cup at a time and let it cook out before adding next cup. When the risotto is nearly there, add the salt, pepper and Parmesan to the rice. The risotto will seize up a bit from the cheese, add a little more stock if necessary. Finally, add the peas and arugula back to the pan and toss to combine.